Ghost Viper Tactical Black Gun Sock - Rifle Or Shotgun, Silicone-Treated Knit Fabric, Moisture-Resistant, Drawstring - Length 54” - BOGO | BUDK.com - Knives & Swords At The Lowest Prices! 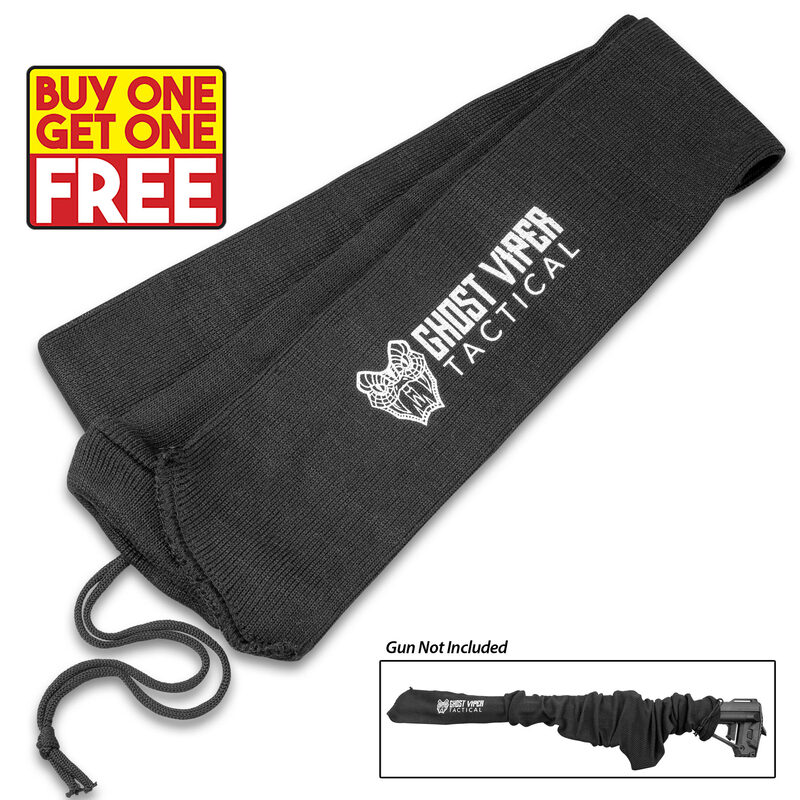 Keep your long gun corrosion free when not in use with this black silicone-treated gun sock from Ghost Viper Tactical. Rust is your firearm’s worst enemy, and there’s no need to worry about it when your gun is stored in this silicone-treated knitted fabric sock that has a nylon drawstring closure. The protective sock fits most rifles and shotguns with its dimensions of 54" x 3 3/4". Don’t leave your firearm at the mercy of the weather! Today, with BOGO, you are getting twice the protection with two gun socks.